Don Turner has resigned as pastor at New Horizon Church, Church Point. Randy Bowman is new pastor at New Horizon Church, Church Point. Christopher Jeffus is new pastor at Trinity Baptist Church, New Iberia. Clovis Sturdivant is interim pastor at New Chapel Hill, West Monroe. Dustin Stockstill is new pastor at Bedico Baptist Church, Ponchatoula. Dickie Nelson is new pastor at Westside Baptist Church, Ponchatoula. Jeffery Hodges licensed to the Gospel Ministry at Macedonia Baptist Church, Holden. John Campbell resigns as pastor of Holly Springs Baptist Church, Homer. Gerald Palmer resigns as pastor of West Lake Baptist Church, Doyline. Richard, wife Tricia, Price is new minister of counseling at Haynes Avenue Baptist Church, Shreveport. James, wife Hyuna, Franklin is new youth minister at First Baptist Church, Blanchard. Don Francis is new associate pastor at Eastwood Baptist Church, Haughton. Matt Powers is new music minister at Northwoods Baptist Church, Shreveport. William Hoten “Buck” Curry lost a long battle with cancer June 5. Services were held at Warsaw Baptist Church in Delhi. He surrendered his life to the Lord in 1985 which yielded a strong devotion in him to serve his Savior in ministry to several church families. He found his calling pastoring at Patton Baptist Church, Jonesville, Robinson Baptist Church, Dunn, Pioneer Baptist Church, Pioneer, Harmony Baptist Church, Delhi, Parkview Baptist Church, Tallulah, and was the current pastor of Waverly Baptist Church, Waverly. Curry also served on the Madison Parish Police Jury for nine and a half years and was a retired farmer by vocation. He came out of retirement to work for Southern Produce Distributors, then later, Poverty Point State Park where he was employed upon his passing. Curry is preceded in death by his parents, William Hoten Curry Sr. and Eula Lowery Curry; three siblings Ellis Hatten, Irma Lee Hoggatt and Violet Hill and a great granddaughter Aubrie Grace Yates. He is survived by his wife of 44 years, Beverly Bryan Curry of Delhi; two daughters Tammy McCalmon and husband Shane of Epps, and Suzy McDaniel and husband Mark of Oak Grove; five grandchildren John Taylor Yates and wife Maggie, Jakob Yates, Breland Yates, Dylan Johnston and Alyssa Bass and two great grandchildren Bentley Alford and Jaxton Yates. He is also survived by five brothers and sisters, David Hatten and wife Beverley and Leann Holloway all of Delhi, William H. Curry of Alabama and Leo Hatten and Jessie Johnson both of Texas and by numerous nieces and nephews. James “Mike” R. Overcash, Jr., 80, of Brentwood, Tenn. Born Oct. 10, 1935, he went home to be with his Lord on June 8, 2016. Survived by his wife of 52 years, Jean; daughter, Kim Stanford (Steve); son, Michael Overcash (Christy); step-grandsons, Derek and Justin Bush; and sister, Sylvia Timmons. 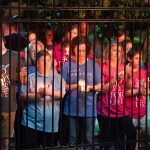 He was a graduate of Wake Forest University and the New Orleans Baptist Theological Seminary. He served his country actively in the U.S. Army and reserves for more than 40 years, was a veteran of the Vietnam War, and retired from the Army as a Lieutenant Colonel. Before moving to Brentwood, TN, in 1978 to take a position with Brentwood Baptist Church, he served as music minister at Mt. Pleasant Baptist Church in Bogalusa. He worked for LifeWay Christian Resources, helped several Tennessee Baptist churches as their minister of music, worked for the TBC from 1995-2001, and served as interim director of Tennessee Baptist Disaster Relief in 2015. His disaster relief volunteer work continued through Judson Baptist Church, Nashville, where he was a member. Perry Webb, Jr., 91, of Natchitoches, passed away May 14. Services were held May 21 at First Baptist, Natchitoches. Webb served as a Baptist minister for 74 years. He began his pastoral ministry as a seminary student, serving a country church in East Central Illinois. Webb went on to pastor First Baptist, Poteet, Texas (1949-1952); First Baptist Church, Natchitoches (1952-1964); First Baptist Church, Albany, Georgia (1964-1975); and First Baptist Church, Baton Rouge (1975-1988). He served on the Louisiana Baptist Executive Board as secretary, vice chairman and president. He was President of the Louisiana Baptist Convention for two years. He loved the student activities at Northwestern State University, leading in the building of the first off-campus facilities of the Baptist Student Union, and serving as chairman of the BSU committee of NSU and State Pastor Advisor of the Baptist Student Union. He served as a Louisiana College Trustee. In 2015 he was honored with the recognition as Pastor Emeritus to the First Baptist Church of Natchitoches. He was preceded in death by his parents. He is survived by his wife of 66 years, Virginia Powell Webb; daughter, Deborah Webb Smith; son, Perry Flynt Webb, III and his wife, Kim; grandsons, Walker Smith, Phillip Smith and his wife, Amy, Jonathan and Tyler Webb; sister, Rebekah Webb Richards; as well as many nieces and nephews. Gray’s Creek Baptist Church, Denham Springs held its 69th Homecoming on June 26. Evangelist: Charles “Andy” Rushing Sr. who was licensed to the Gospel ministry at Gray’s Creek and a 1965 graduate of Denham Springs, celebrated the church’s homecoming and his 45 years in ministry. His Church, Pineville: 10th Homecoming service, July 3, 8 a.m. (Southern Gospel Celebration), 9:30 a.m. (Contemporary Celebration), 11 a.m. (Contemporary Celebration). There will be a fellowship lunch at 12:30 at the Ball Community Center. Pastor: Steve Speer. Ridgecrest Baptist Church, Ridgecrest: 60th Homecoming Celebration, July 10, 10 a.m. Speaker: Luther Carlisle (first pastor of Ridgecrest Baptist). Lunch will follow services. All former pastor, members, music ministers and friends are invited to join in the celebration. Music will be provided by Jeffery Goodman and the Ridgecrest Choir. Pastor: Dennis Baker. Salem Baptist Church, Plain Dealing: 172nd Homecoming, July 10, 11 a.m. Speaker: Sam Marino (former pastor 2002-2008). Lunch will follow the service at noon and singing will begin at 1:15 p.m. Pastor: Larry Earhart. First Baptist Church, Minden: Revive (summer revival series), July 10, 17, 24 & 31. July 10, 6 p.m. Speaker: Will Simmons. Music: Jeff & Jake Cowley. Fellowship following service features Red, White and Blue desserts; July 17, 6 p.m. Speaker: John Lary. Music: Jake & Rachel Chapman. Fellowship following service features ice cream. July 24, 6 p.m. Speaker: Eddie Briery. Music: Joe & Jody Nida. Fellowship following service features hot dogs and soft drinks. July 31, 10:45 a.m. (no first Gospel hour). Speaker: Argile Smith. Music: Ammer Gayle Whatley. Church-wide lunch will follow the service, catfish and all the fixings at no cost. Pastor: Leland Crawford. First Baptist Church, Converse: Revival, July 10-13, Special Guests: The Gary Willis Family. Pastor: Ron Almeida. Aimwell Baptist Church, Zwolle: Revival, July 13-17, Speaker: Bill Robertson. Pastor: Ronnie Sandifer. First Baptist Church, Zwolle: Revival, July 13-17, Speaker: Spencer Lovitt. Pastor: Jerry Penfield. 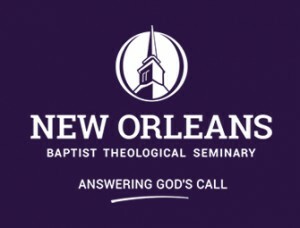 A Louisiana Southern Baptist Church is in need of a used 15-passenger van. If anyone has one for sale, please call 318.623.4319. Wayne Dunn is available for pulpit supply and interim work. To contact him, please call 318.733.0248 or email browaynedunn@yahoo.com. Cheniere Baptist Church, West Monroe is seeking part-time music minister. Interested applicants can send their résumé to Bobby Moffett at 201 Cheniere Church Rd., West Monroe, LA 71292 or email chenierebapt@yahoo.com. For more information call 318.396.2275 between the hours of 9 a.m. – 2 p.m. Monday through Friday. Larry Baldridge is available for supply, interim, pastorate and revivals. References can be supplied upon request. Call 337.250.3954. First Baptist Church, Jonesboro: Appreciation Day for Military Veterans & First Responders along with their families, July 3, 10 a.m. The FBC Adult Choir will present a cantata of patriotic music directed by minister of music Russ Givens, and there will be a special message by veteran and Deputy Sheriff Clovis Sturdivant. Following the program, there will be a special luncheon honoring all those who have served and are still serving our community, state and nation. Pastor: Charles Wesley. 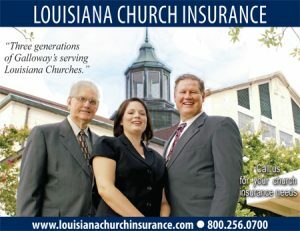 First Baptist Church, Slidell: Independence Day Celebration, July 3, 4 to 7 p.m. There will be plenty of food, fun, music, and time to fellowship. Pastor: Ricky Cummings. Bethel Baptist Church, Colfax: Patriotic Celebration & Fellowship, July 3, 5 p.m. Church-wide Fish Fry and Southern Gospel Concert with Brad Mount in the Family Life Center. Following the concert at dark, there will be fireworks. Pastor: Carl Gulde. First Baptist Church, Baton Rouge: Festival of Freedom, A Celebration of God and Country, July 4, 6 p.m. Featuring the combined choir and orchestra from Baton Rouge area churches. Pastor: Oren Conner. Alto Baptist Church, Alto: Celebrate God & Country Day, July 3, 10:30 a.m. Speaker: Ralph Abraham. Music: Brothers in Christ, a southern Gospel group from West Monroe. All veterans will be honored. A barbeque dinner will be served following the service and the community is invited to attend. Pastor: Alan Miller. North Shreve Baptist Church, Shreveport: Special Patriotic Concert, July 3, 6 p.m. Music: Mark Lanier. Pastor: Roy Davis. First Baptist Church, Bogalusa: Freedom Sunday, July 3, 10:30 a.m. Dinner will follow the service. Pastor: Greg Whaley. 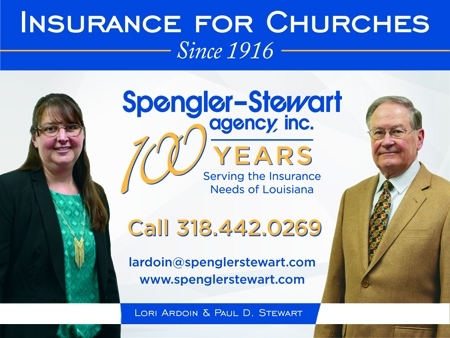 First Baptist Church, Slidell: Independence Day Celebration, July 3, 4-7 p.m. Bring a side dish or dessert and lawn chairs. The church will provide hamburgers, hot dogs, drinks and watermelon. Pastor: Ricky Cummings. First Baptist Church, Haynesville: Fourth of July Celebration, July 3. Those attending will get to enjoy hamburgers and fixings, homemade ice cream, cookie, dominoes, cards, swimming, and volleyball. 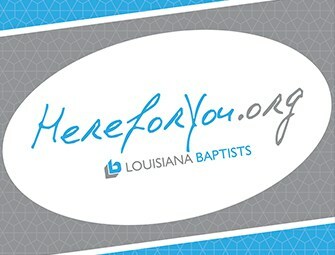 Baptist Association of Greater Baton Rouge/LSU BCM: ‘1st Annual or Maybe Never Again’ Golf Outing for pastors/staff/church family, July 15, Cooper Mill Golf Course in Zachary. Cost: $40 per person (cost includes golf, golf cart & lunch). RSVP: BAGBR 225.296.3943 or email baptistassociation@bagbr.org.